I am most pleased to report that we had a very uneventful weekend. There was knitting and television, good eating and a wee bit of hiking. Allow me to elaborate. Knitting: I finished Dale’s Fionn sweater. It needs a gooooood blocking but then there will be a photo shoot. Assuming Dale is pretty again by then. Television: We watched Into the Wild and, while I thought it was a tad lengthy, I did enjoy it. I also watched a lot of women’s basketball, Pride and Prejudice, and the latest episode of John Adams. You must realize that it was this fair amount of time with the television that led to the finishing of the sweater. Hiking: Sunday was somewhat mild and we took a walk over at the site of our upcoming Civil War living history event. 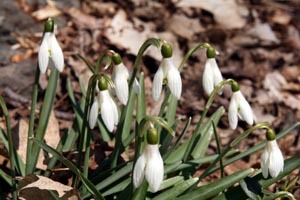 I spied some snow drops and scared away some wood ducks. It was a pleasant way to spend a bit of time on a Sunday afternoon. In between all of this there was snuggling on the couch and a lot of laughing. It was the perfect weekend and just what we needed to recharge our batteries and heal ourselves. Nothing like a restorative weekend! You two certainly deserve one after THAT one 🙂 I just saw Into the Wild too, what a story, no? I love those TV/knitting weekends. Sounds like a great weekend. Ours was similar. It sounds like you had a heavenly weekend. Look at the snowdrops! I never did see any this year. Can’t wait to see the sweater. Sounds like Dale is recovering. I am so happy to hear it. He’d look great in his Fionn, (or his uniform) with his “battle scars”. I’ve been waiting to see Into the Wild. Terrific! I love that you served dinner by candlelight during Earth Hour. I wish I had been so savvy — somehow I missed that event. Congratulations on finishing Dale’s sweater! I watched more TV than usual this weekend, too, and was able to accomplish a lot of knitting. I watched Citizen Kane, On The Waterfront, and the first half of Sense and Sensibility. They were all very good. Ahhhh, so glad your weekend was quiet & restful! Love the snowdrops! Nice and relaxing (and no emergency room visit), just how a weekend should be. Now THAT is a good weekend! Great actually. Can’t wait to see the sweater; it should be gorgeous. 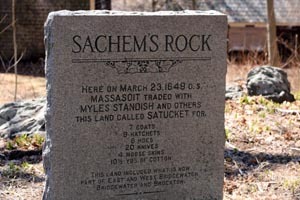 Good to hear there was no bloodshed this weekend. Hope Dale is healing quickly! You all needed exactly that kind of weekend. Ours was very quiet too. Just the way I like it. I see no flowers around here yet, although I’m heartened that flowers sightings are nearby. Good for you for having a nice, restful, healing weekend. So glad to hear that you had a sweet weekend, and that Dale is healing well. Can’t wait to see his sweater. Congrats on finishing the sweater. I really love those snow drops. So pretty! I’m so glad that you all had a lovely peaceful weekend. I’m sure Dale will be pretty again before you know it, Carole. 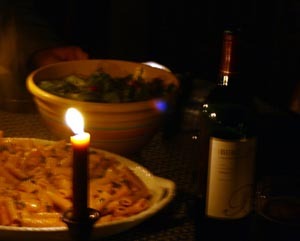 How cool to time Earth Hour with candlelit dinners! Good friends, good tv, good walk, good knitting – hey what more can one want from a week-end! It sounded absolutely wonderful!!! My idea of a perfect weekend. Thanks for the food link. Reminds me of a Parma Rosa sauce. And, trust me, I have the link saved.Have a good week, Carole! Sounds like you both had a nice weekend. I didn’t even even know what earth hour was when I read your post and had to go look it up. I really should keep up! sounds like a good weekend for you two. thanks for the pasta link! sounds really good. Sounds like the perfect weekend, Carole. I’m happy for you two; you definitely deserve it.